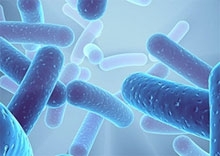 The SALVECO® industrial laboratory has developed and patented a completely new and unique range from plant-based actives of hand sanitizers (Personal care) and professional and consumer surface disinfectants. Salveco is to date the only one in the world to benefit from a Simplified Authorisation. A world first in the market for disinfection. Its exclusive and patented technology allows the SALVECO® laboratory to meet all the eligibility conditions of the simplified procedure in accordance with the Article 25 of the Biocidal Products Regulation No 528/2012: especially effective, non-classification under CLP regulation and an authorized active substance. The biobased content corresponds to the formulation actives. Ultimate biodegradability on 100% of the formula (OCDE 301).